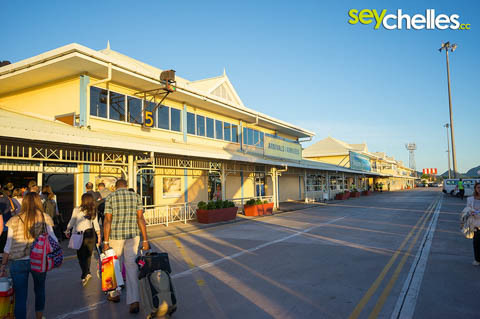 Here are some tips that might be interesting to every Seychelles visitor. If you have some tips to share, join us on Facebook. There are different options to travel between the islands and on an island. 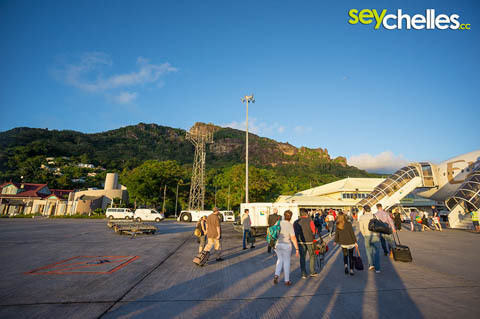 If you are not going to stay on Mahé, you can take a propeller machine (Air Seychelles or Zilair) to some of the outer islands or to Praslin. 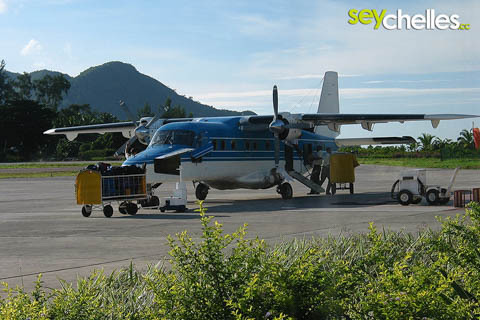 All other islands are either accessed by helicopter (currently only by Zilair), or by boat. 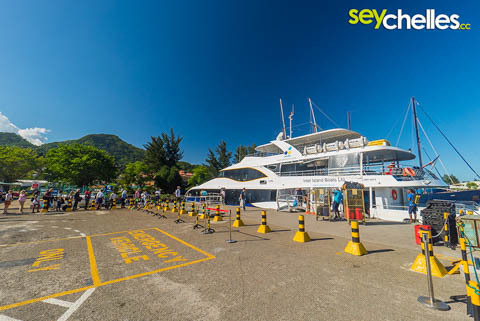 The ferry service between Mahé, Praslin and La Digue is called Cat Cocos (visit their website for schedules and other info). On your boat trip, you can enjoy the view from the top, which is especially great on the biggest of the three boats. Be sure to ask for upper deck tickets at purchase. By the time of our writing, the price is the same but you are not allowed to go up without the special ticket. Talking about Ferries: it is wise to sit with a view out to the sea and looking at the horizon in order to not get seasick, especially when the sea gets rough. 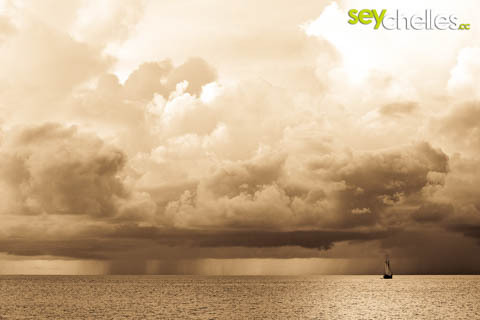 If you want to be on the safe side, there is a special medicine against seasickness. We use it every time we go on a boat - it doesn´t do any harm since we don´t do it regularly but it might save your day. 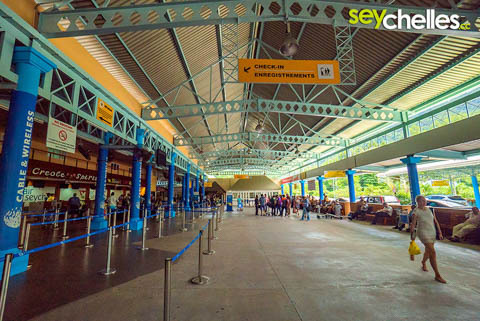 When going with the Cat Cocos, there is a shuttle service from the airport to the inter-island jetty. 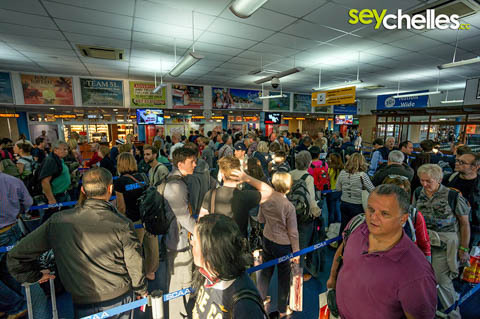 Just look out for a bus with a rather small note in the window, or ask one of the travel agents in the arrival area. The transfer is free if you booked your tickets online and have your reservation with you. If you want to take a day trip from Mahé to Praslin or La Digue, or even vice versa - Cat Cocos in our opinion is your best choice. There is a snack restaurant at the parking area at the jetty, in case you are hungry or thirsty, but you can also buy something to drink or a snack on the boat later. It takes about 60min between Mahe and Praslin. To continue to La Digue you´ll either have a short stop, or you have to change to Cat Roses and after that expect another 20 minutes. Especially the boat ride from Praslin to La Digue is a really nice trip and waters are usually rather calm. 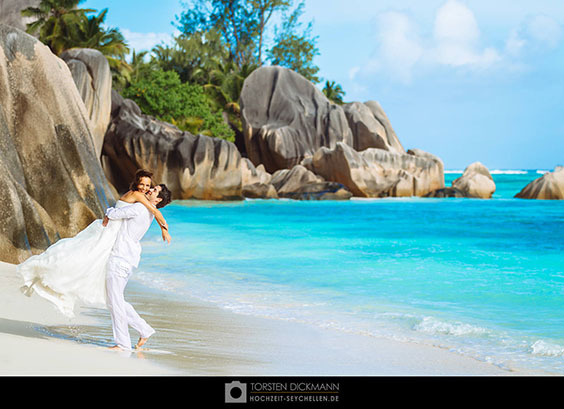 The beaches of the Seychelles are a great place to be, but take a few precautions to keep them in your memories just like that. As on every other beach in the world with higher waves it is wise to walk out of the water, keeping an eye out on the ocean. 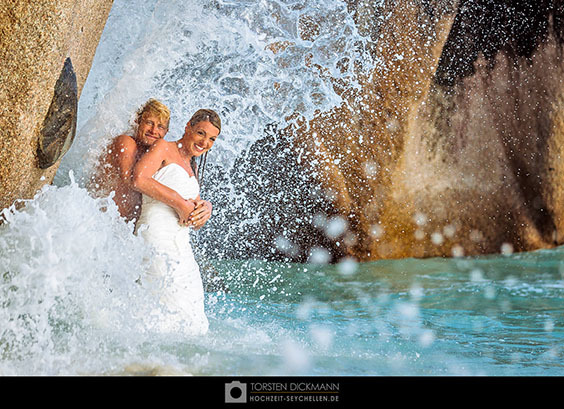 Sometimes a surprisingly high wave might crash ashore and grab your sunglasses, fins, shoes etc. A few minutes snorkelling on Anse Lazio made us the owner of two pairs of sunglasses, so it does happen! That´s not the worst though. Especially on the beaches with higher waves, like Anse Intendance on Mahé or Grand Anse on La Digue, you can get seriously injured by waves if you don´t take care. 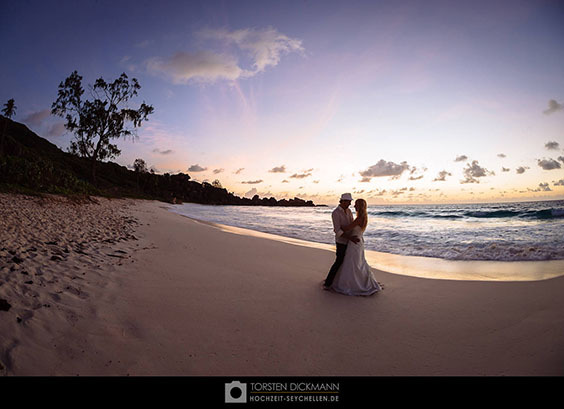 On many of the Seychelles beaches, there might be currents at different times of the year. Please take the warning signs seriously. For your own safety, there are one or two friendly policemen or women on the main beaches to keep an eye on you and your belongings. However, don´t leave your valuables at the beach or in the car unattended. You wouldn´t do this on a beach in any other country either, so don´t panic and enjoy your holiday ;-). 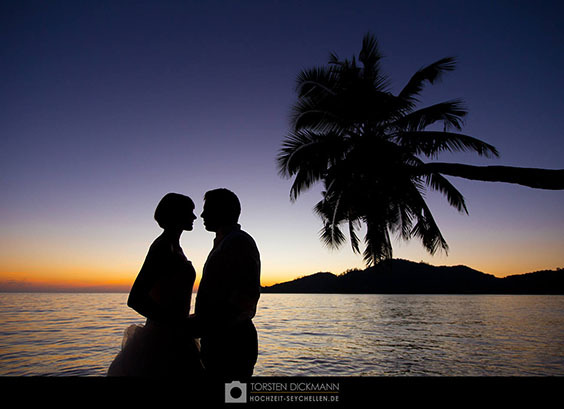 Don´t rest right underneath a coconut palm-tree and be aware of falling coconuts. There is a saying that more people around the globe get killed by coconuts than by shark attacks, and there is some truth in it. Also, don´t park your car under those trees - many insurances don´t cover the costs of falling coconuts. Unlike many other destinations, there are hardly any parasols on Seychelles beaches. Another reason why they are so attractive to the eye of the visitor. Some of them do have natural shade, others don´t. So be sure to use sunscreen and avoid the sun at noon. Like in every other tropical destination, please make sure to use very high factor sun protection. Avoid to stay in the sun around midday. Especially when you go into the water, make sure to use waterproof sun protection or wear a shirt, especially if your skin is not used to the sun and even more so when snorkelling. In the water, you forget about time and what was meant to be minutes, could last hours. Some of you may already know, but we´d like to tell you from our experience. Don´t apply sunscreen and insect protection at the same time, because insect protection may reduce the sun protection factor up to 30%! In our case, it made sun protection almost useless resulting in an extreme sunburn despite using factor 50. It´s clear anyway to apply suncream first, but after that please wait a minimum of 30 minutes before applying the insect protection. Well, and last but not least: Drink enough water, and especially take enough water with you when doing trails and hikes. 1l is close to nothing in this hot and humid climate. We have created a rating badge for the beaches of the Seychelles. We rate four different aspects of each beach, but we have refrained from presenting an overall rating. 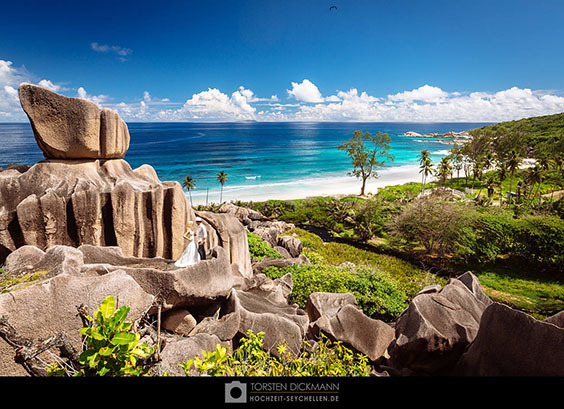 It would not be fair to create an average of these four characteristics because for example, Anse Cocos on La Digue is rather difficult to access and not the best for swimming. But overall it is one of the best beaches in the world. Would we have created an overall rating, it would rank 28th. However, we think that these four characteristics are very important to know before you decide which beach you want to visit. Are you looking for the most beautiful ones, or do you want to go swimming? Are you handicapped and can´t access every beach easily, or are you the type of traveller who wants to have a beach all to yourself? Here are some thoughts that went into our rating. The beauty is in the eye of the beholder. Being photographers and filmmakers the beauty of a beach is one of the most important characteristics that help us choose our travel destinations. The beauty of a beach can change though. It can be affected by season, tide, seagrass on the beach, sunchairs, parasols and the number of people that populate a beach. However, we decided to give the last characteristic an extra rating. A rating of 10 means that we think this beach is not only one of the most beautiful beaches on the Seychelles, but in the world. 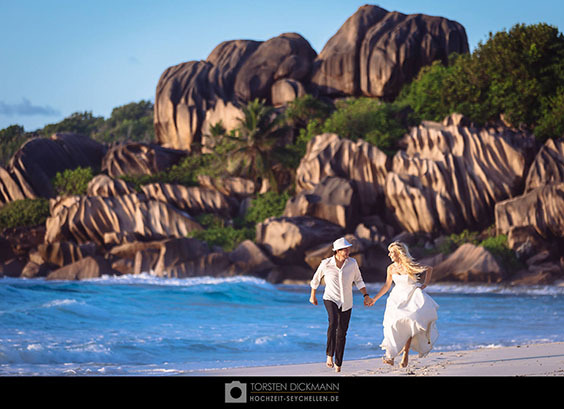 Here are two examples: In our opinion, Grand Anse on La Digue is one of the most beautiful beaches in Seychelles and deserves a clear 10, while Anse Boileau is only a 4. Remember that even Anse Boileau would probably be an 8 or even 9 in almost any other country in the world. Most of the Seychelles beaches are not the perfect choice for swimming and bathing, compared to other places (like the Maldives). Some have high currents or waves, others are very shallow at low tide and again others are hard to get into the water because of rocks or coral. We have been rather conservative with this rating because the suitability for swimming changes with the season, the weather, waves, currents, coral, etc.. And even on beaches that seem perfect for swimming like the Anse Lazio, the Seychelles are known for sudden high waves to watch out for. Snorkelling on the shoreline of Anse Lazio will tell you how true that is because you find lots of sunglasses, diving goggles, etc. people lost on their way out of the water. We too had to find a rating for beaches that are very, very long. So we chose the best part of the beach for the rating. The highest rating means that this beach is very well suited for swimming. In our example Beau Vallon Beach on Mahé deserves a clear 10, it even has some watersport activities, while Grand l´Anse on La Digue gets a 2 because it is close to impossible to get into the water due to rocks and high waves. Many beaches on the Seychelles are very easy to access. Some are right on the coast road (that is on some beaches disturbing, and not on others). For other beaches, you have to take a bike ride, hike for hours, or even climb along rocks. Again others are only accessible by boat. Some of these again are visited often by tours. For others, you will have to search for a boat that brings you there. One important note on accessibility: some beaches are right in front of a hotel so easy to access for hotel guests, but not so for others. In these cases, we rated the access for people who not stay in that particular hotel. The highest rating means the beach is easy to access. The best example for a high rating is Anse Takamaka on Mahé. It is right along the coast road (though this will never disturb you because here is very little traffic in the south). A rather low rating for accessibility goes to Anse Marron on La Digue. It takes at least an hour of climbing, walking and wading through water to get there from the next road. 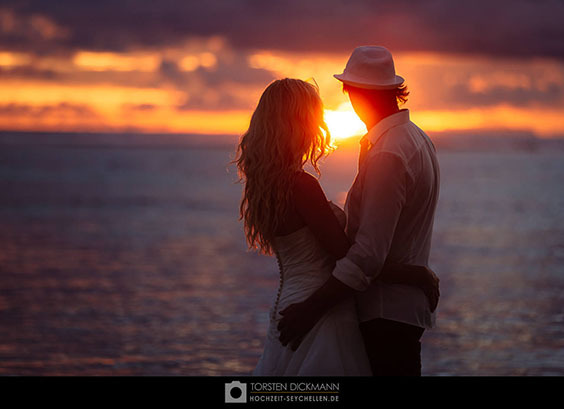 Are you like us and love solitude on beaches? While we are all tourists and have to keep that in mind, there are beaches that are more crowded and others where there is a high probability that you are alone. 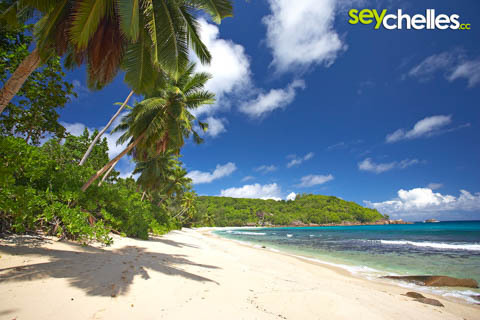 In general Seychelles beaches are way less populated than those of almost all other countries. The highest rating means that very few people ever find the way to that particular beach. 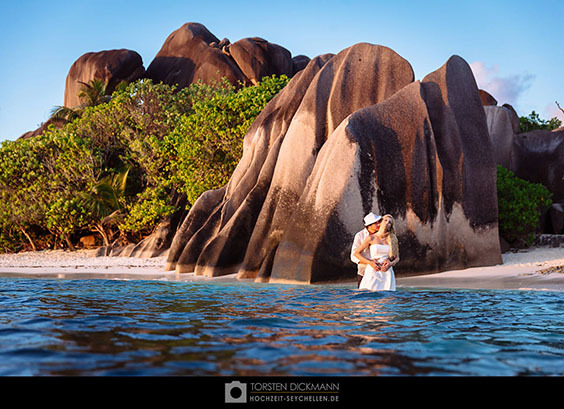 Our two examples for this rating are: Anse Caiman on La Digue for a high rating and Anse Source d´Argent for the lowest rating - again, keep in mind. 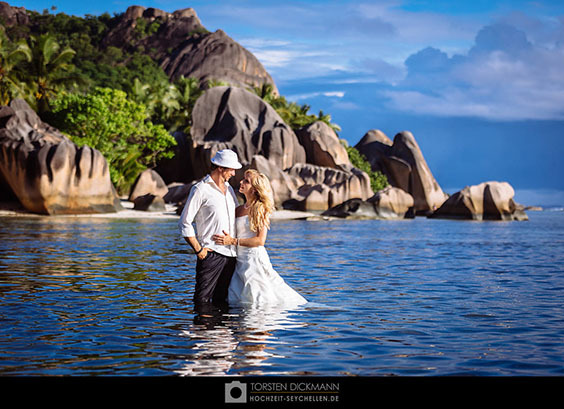 People who visit Anse Source d´Argent before any other beach on Seychelles are surprised that there are so few tourists on the beach, but once you get that Seychelles Beach Feeling... ;).